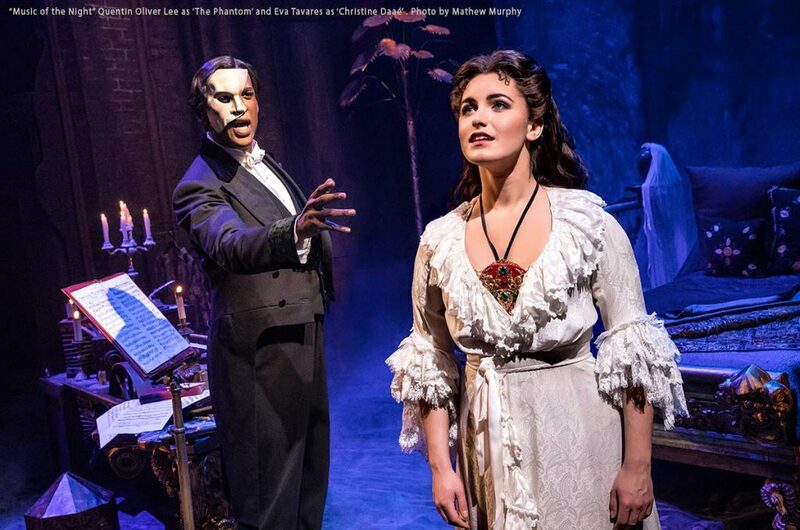 Cameron Mackintosh’s spectacular new production of Andrew Lloyd Webber’s THE PHANTOM OF THE OPERA will make a triumphant return to Schenectady as part of its North American Tour. Critics are raving that this breathtaking production is “bigger and better than ever before” and features a brilliant new scenic design by Paul Brown, Tony Award®-winning original costume design by Maria Björnson, lighting design by Tony Award®-winner Paule Constable, new choreography by Scott Ambler, and new staging by director Laurence Connor. The production, overseen by Matthew Bourne and Cameron Mackintosh, boasts many exciting special effects including the show’s legendary chandelier. The beloved story and thrilling score – with songs like “Music of the Night,”“All I Ask Of You,” and “Masquerade” – will be performed by a cast and orchestra of 52, making this PHANTOM one of the largest productions now on tour. The first Sunday 1 pm performance will feature a sign language interpreter. To request access to this section, please call our box office at 518.346.6204. Henry Schaffer TheatreTalks offer guests exclusive behind-the-scenes discussions with cast, crew and industry professionals! TheatreTalks are FREE and open to all ticket holders. Talk will follow the Thursday matinee performance starting at approximately 4 pm in the GE Theatre. Dates and times subject to change. Teachers and Educators receive a 10% off discount* to the Friday night show of THE PHANTOM OF THE OPERA and an invitation to a private pre-show party. Join us from 6:30 – 8 p.m. in the Delack Guild Room for a cash bar, food provided by the School of the Performing Arts at Proctors and theREP and a private area to mingle with other Capital Region educators prior to the show! Use coupon code “TEACHERNIGHT” upon checkout to redeem the discount. *Excludes Premium and Cloud Club. Calling all Girl & Boy Scouts! Join us for either 8 p.m. performance on Friday, May 3 or Saturday, May 4 to receive a 10% off discount* to THE PHANTOM OF THE OPERA! Use code PHANTOMSCOUT at checkout to redeem this discount. Scout patch included!